It used to be the case that only certain cultures of our society wore a beard but try walking down the street without seeing at least one. Yes, times have changed and beards are commonplace. 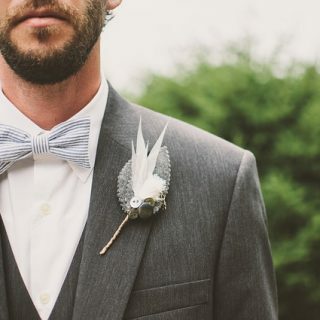 With beards actually raising the standard of looking their best no doubt our grooms will want to parade their furry friends on their big day so today we are going to talk about how you might prepare your beard for that wedding. Firstly note that not everyone can grow the same type of beards. So first thing is to know what suits you. Like looking for that particular style of wedding suit, preparation begins months in advance for a well-manicured beard. We suggest the ManCave beard oil is a reasonable product to keep the beard soft and itch-free. But before anything else, let’s lay out some “ground rules” first. The key to having a perfect Wedding Beard is just forgetting you have shears and shaving cream, right? Wrong. Growing that perfect beard is going to take a lot of care and a whole lot of common sense. In fact, there are a few things that you have to keep in mind. When it comes to beards, just remember that the range of your options is inversely proportionate to your importance in the wedding. If you are a guest, then pretty much anything goes. This is true if you are attending the wedding on your own. And even if you have your wife or girlfriend with you, your options for beards are going to be considerable. However, keep in mind that you might also be dragged into a lot of photo opportunities. As such, looking your very best will still matter. the groom, then how you can style your beard is going to be limited. In fact, you might have to fight it out with your partner and family just to have a beard on your big day. Either way, it is best that you pick the styles that highlight your best features. Which leads to our next point. Ironically, the rule that brides have to follow with their wedding makeup applies to men and their wedding beards: pick one that reflects YOU, and not you putting on some costume. If your everyday stubble goes along with almost every formal wear that you have ever worn, then adding a few centimetres of hair on your face is not going to hurt. If you have always looked good with a full-on beard, then trimming it at the edges would work well to your favour. That being said, a wedding is not the time to do something cool with your beard. If you’re just fine with a regular beard, then showing up on the wedding looking like you’ve just stepped out of the 18th century is going to make heads turn; for all the wrong reasons. Having the perfect wedding beard is actually finding a balance between letting things grow and cleaning up. Think of it like you are making sculpture out of a bush: you’d have to know where and how to trim things to add dimension. Professor Fuzzworthy’s Beard Shampoo and Old Spice’s Sculpting Pomade that are going to give your beard the volume and luster it needs. Plus, these products can help you keep your beard in place when you opt for something stylish. that do come with a complementary comb or brush made specifically for beards. As such, it would be best that you consider these items. beautiful patch of beard over your face for the wedding. least, you’ll get something pathetic. At worst, you’ll end up with something that looks scraggly and unkempt. And no, even the best growth oils out there like Growther Beard Growth Oil can’t get your face blanketed with enough facial hair in such a short amount of time. Give yourself at least a week to a full month to grow a beard and then trim and care for it. Not only will you end up with something majestic but you’ll send a signal that you have actually made an effort in making yourself look good to everybody; especially if you have an important role in the wedding. And while we’re on the issue of last-minute decisions, never ever shave your beard on the night before the wedding. Not only does this mean that you are going to throw out months of work literally down the drain, but you’d end up with a haphazard shaved look. Think of it this way: you can’t expect to remove an entire beard of your face overnight without leaving stubble here and there. One of the more trending styles today, the Imperial style is traditional enough to give men that “macho” vibe. However, it has an artistic flair to it to give anyone wearing a bird that much-needed class. Imperial style beards have a standard beard that measures up to an inch in volume along the lower jaw. However, this is then topped with a full moustache that curves upwards at the side. The imperial style works well if you have short yet styled hair. Also, it works great for men with long faces but are of average height. your beard grow for a week and then trim it at the edges just before the wedding day. There are trimming kits readily available online that can give your beard the dimensions it needs. Also, this style is best for men with round-shaped heads. For the ultimate of dashing manliness, the Full Beard is your best option. This style is quite straightforward a concept as it simply means you allow your beard to cover your entire face and have it reach as far as your Adam’s Apple. However, the key to success here is to reduce the “fuzziness” of your beard. That means you have to constantly trim it at the edges especially at the lower sections. This way, your beard takes on a more bulb-like shape by following the contours of your chin. Also, this is the style that is going to take the longest to prepare. If you don’t have the genes to grow facial hair that fast, it can take months for you to get a full beard. As such, it’s best that you start growing your beard as soon as you get that wedding invitation. Like the Imperial Style, Full Beards complement equally fashionable hairstyles. In this case, a high and tight haircut goes well for your full beard or even a simple barber’s cut. The point is that your hair should be shorter than your beard if you want to take full advantage of this style. For men that are not genetically predisposed for full-on beards, this is the best (and sometimes only) option. It’s also the fastest style to grow as you can have one just by opting not to shave for a day or 3. However, the key here is to maintain that thin stubble and prevent it from growing a centimetre further. Again, there are trimming and styling kits online that can help you shave off extra bits of hair. If done right, what you’ll end up with is a quasi-bearded yet still rugged face. Another popular beard style, the French is great for men with round faces or those with a less-pronounced chin. To get this style, all you have to do is to grow a full beard and then shave off the unwanted areas. These are the sides at the cheeks and at the lower jaw. What you will end up is a beard that covers your chin and connects to your moustache. It would be even better if you can maintain a soul patch below your lower lip to give your beard a crown or anchor-like appearance. If you want to take things a bit further, you can let the beard grow into a medium stubble. This will make the French style even more pronounced by giving your beard extra layers. After that, all you have to do is just trim off the edges and prevent things from growing any further. It’s often said that growing a perfect beard is hard. That is not exactly true if you already have the tendency to grow facial fuzz within a few days. The challenge comes in committing to a certain style and maintaining the health and luster of your beard before the big day. our beard. A wedding is a momentous and stylish event, after your face. Ever wonder why brides wear veils on their wedding day. What is the significance of that delicate fabric covering your face? That can only be removed when it is time for the groom to kiss the bride. Ellen Scott just got the answer to that. 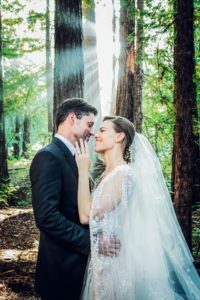 Why do brides wear veils on their wedding day? Veils came into practice at different points in different cultures, and have seen dips and increases in their popularity. But here are the main reasons and theories behind a bride’s NEED to wear a veil. Wedding veils started being a thing in Roman times, when brides were covered from head to toe in a massive red veil called ‘flammeum’. Why? Because Romans were scared of evil spirits popping into the ceremony to curse the couple. They thought that making it look like the bride was on fire would scare them off. Makes sense. It’s all to do with being covered, and the veil being a thinly veiled (pun intended) reference to the hymen. Veil intact, virginity intact. So you can go right ahead and get wedded. Think about it this way: whoever unwraps a present is the owner, right?So through the ages, tradition has stated that the father of the bride must lower the veil on his daughter’s face, in order to ‘gift’ her to her new husband. 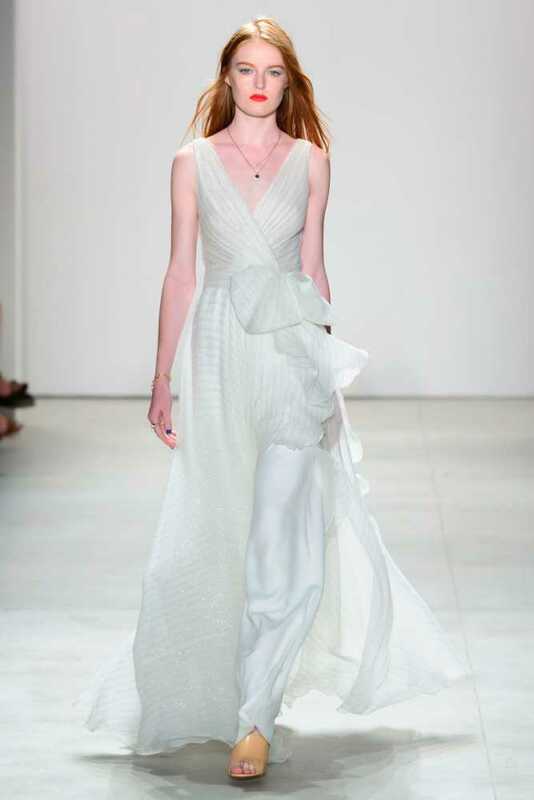 More often than not, brides take inspiration for their wedding dresses from catwalks, fairs or movies. They get the inspiration and picture that perfect wedding dress for their dream wedding. 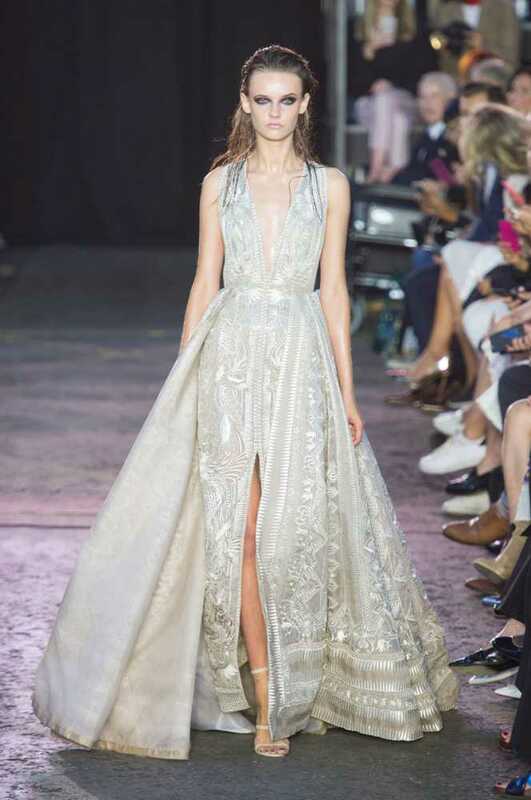 Today we focus on the runway and look at how catwalk dresses may play a part on your day. And here are some more inspiration for all of you who are planning your wedding for the coming summer. Each bride is different. Each have their own type of dress and type of wedding they wanted to have. And so being unique is a wonderful yet hard thing to do. So it is always helpful to attend bridal shows, fairs and fayres. So that you can get fresh new ideas. 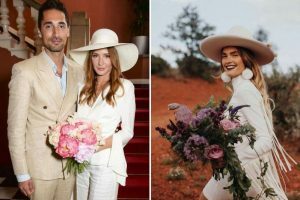 There’s no getting away from social media these days so you may as well embrace it on your wedding day, says Reem Acra. The designer sent models down the runway with bedazzled selfie sticks and sporting sparkling headphones – no doubt inspired by Dolce & Gabbana. 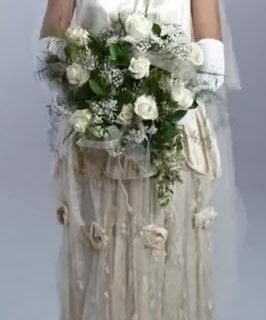 It’s a bold move, but if you’re a bride who can’t bear to be apart from your social media accounts, this is the look for you. 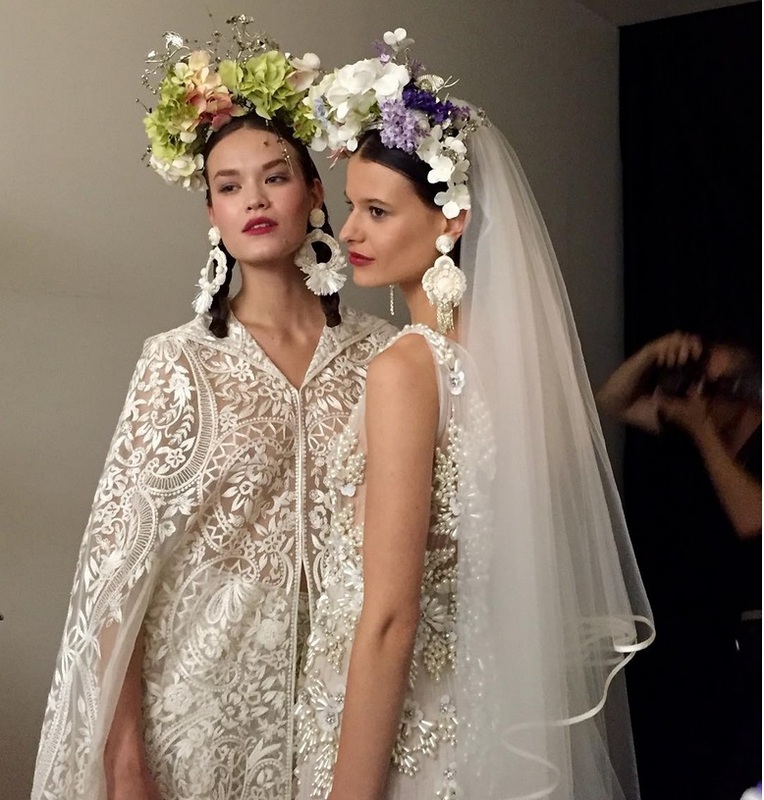 Naeem Khan never disappoints, and for autumn/winter 2016 he was inspired by Frida Kahlo’s favoured placement of flowers in her hair to create a wonderful riff on the tired flower crown trend. Capes never loose their classic elegance so are the perfect alternative to a veil. 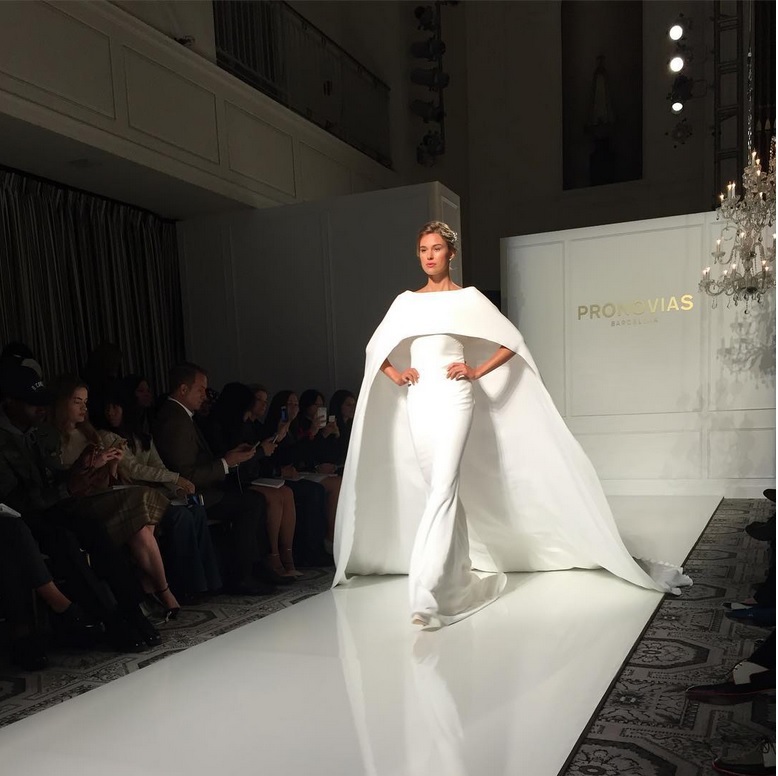 They can be long, simple and sweeping, like at Pronovias, or short and detailed like at Flora. There’s no reason why you can’t be your own something blue. Coloured gowns are becoming more and more common and an icy blue hue is just right for a winter wedding. 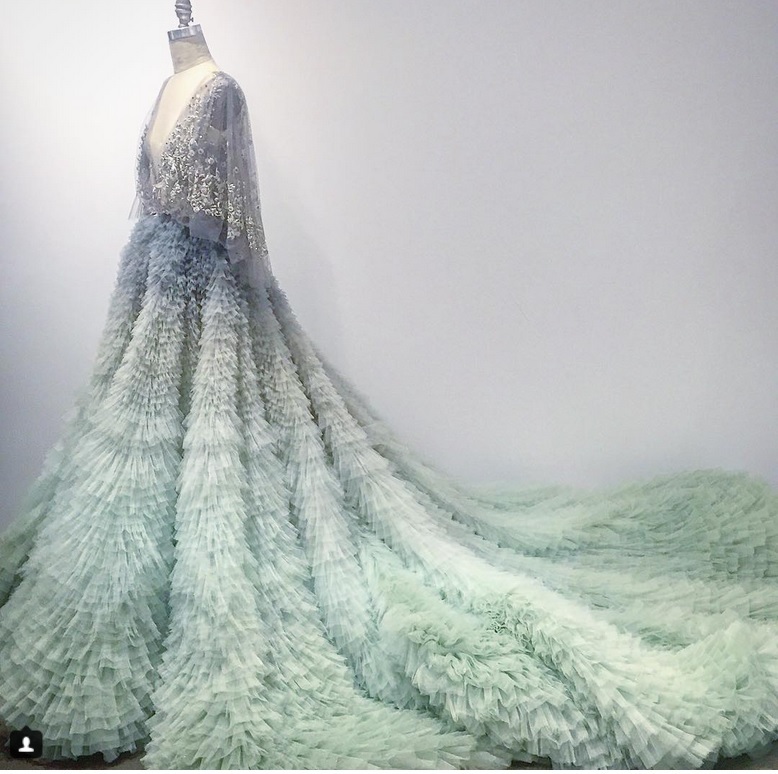 Marchesa’s epic ombre gown is a dream, while Houghton’s holographic, palest blue sequins are just the thing for the more adventurous bride. Being a bride is really stressful, so why not be comfortable while you’re doing it. 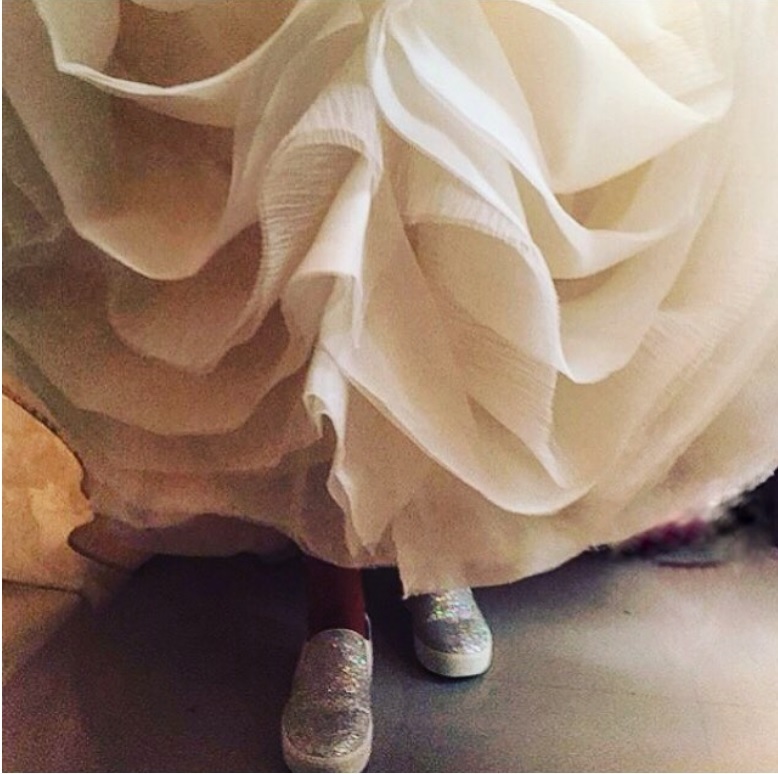 Try sparkling skater shoes – which remain very much on-trend – or a delicate lade hoodie to add a casual edge to a bridal look. To view full list, please go here. Wedding dresses have gone through quite the transformation over the decades. After all, trends come and go from a daily basis.That is even though wedding gowns tend to have a longer shelf life than any other clothes we wear. 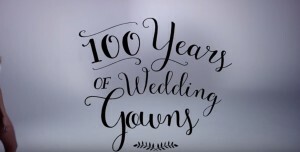 And for that, Mode, have created a film that breaks down how wedding dresses have transformed from 1915 to date. And that is in under 3 minutes. Click the picture below to see the video. 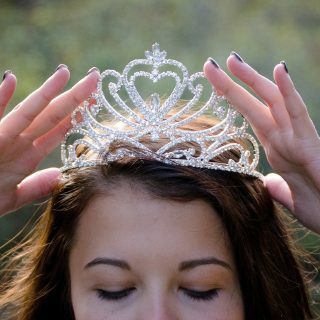 Every girl dreams being a princess at one point in their life. And more often than not, it is realized on the day of their wedding. Who would not feel like a princess when you wear the wedding dress of your dreams? And to give you some insights on what real life princesses wedding gowns would look like, take a peek on the list made by Aemilia Madden. Kate Middleton married Prince William in an Alexander McQueen gown designed by Sarah Burton. Charlene Wittstock married Prince Albert in a gown designed by Giorgio Armani. 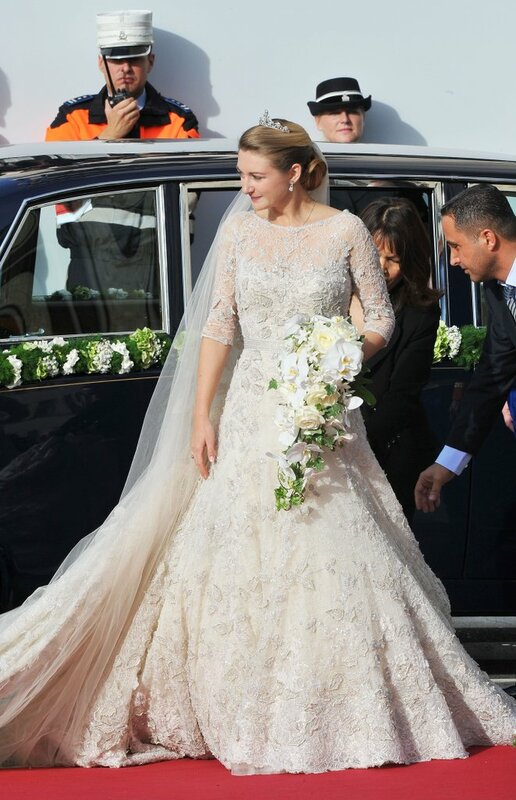 Claire Lademacher married Prince Felix of Luxembourg wearing a gown designed by Elie Saab. Princess Madeleine married Christopher O’Neill wearing a creation by Italian fashion designer Valentino Garavani. 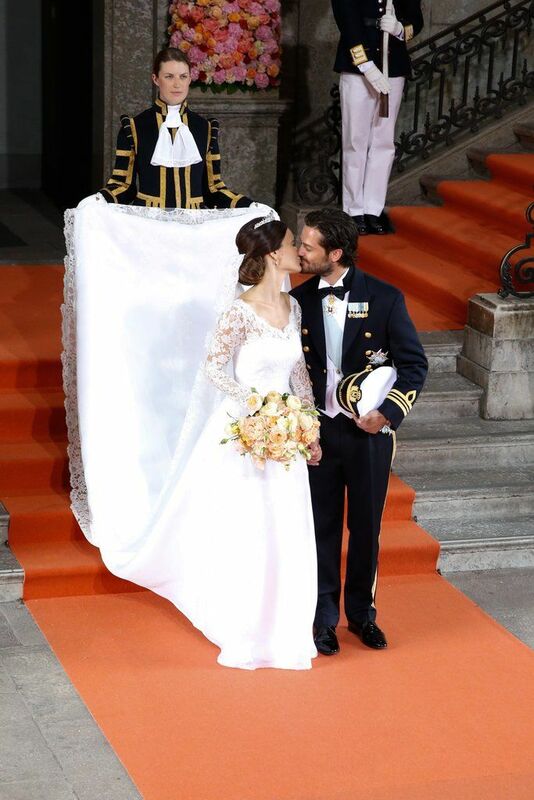 Sofia Hellqvist married Prince Carl Philip of Sweden wearing a gown by Swedish designer Ida Sjöstedt. Stephanie de Lannoy married Prince Guillaume of Luxembourg wearing a custom gown by designer Elie Saab. How about you? Which one do you like best? Wedding dresses worn by popular people are always being looked at by any bride to be. 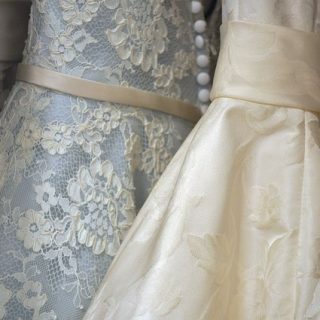 They are always, at one point or another, the inspiration to another person’s wedding dress. We, for example, swooned over the Duchess of Cambridge’s wedding dress on her wedding day. And here are 100 of the most iconic wedding dresses of all time as per Team Elle. Did your favorite make the cut? If you are one of those ladies who love to add more sparkle to their already beautiful aura during their wedding engagement party, then the new range of Coast dresses would have to be a must see for you. We have picked some of them for you to feast your eyes on. 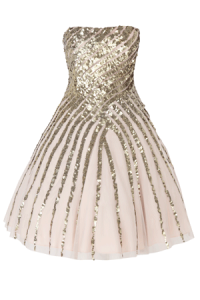 An exclusive A-List Party dress that harks back to stylish Hollywood glamour covered in glimmering sequins. Crafted to luxuriously enrobe your figure The Stacie Sequin Maxi Dress features a high round neck with low plunge back making for a dramatic appeal. With full length sleeves for just the right amount of arm coverage, and the beautiful drop with descending sequins revealing sheer mesh at the bottom showing off your legs for an alluring look. 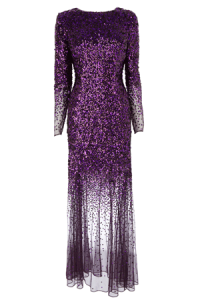 Make an entrance with this dazzling dress. 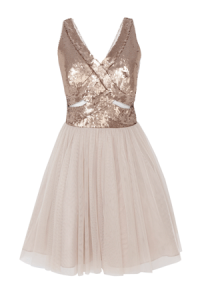 The Paparazzi dress is embellished all over with sequins making for the ultimate party look. From the cinched in waist the bodice elegantly drops into a full netted tulle skirt creating a feminine silhouette. The plunging v neckline and the cut out strappy low back makes for a sensuous appeal, closed with concealed back zip. Celebrate in style with this statement bandeau dress. The limelight dress dazzles and dripping in sequins from the bodice into a swirling pattern. With full tulle skirt makes for a fabulous fairytale-inspired gown. The dress is cinched at the waist for an enviable silhouette, and closed with concealed zip.